The jute industry is projected to lose Rs 200 crore annually in the wake of new pricing recommendations made by the Tariff Commission in its latest report. Losses incurred on each tonne is estimated to stand at Rs 3,000. Presently, government agencies procure jute bags at a cost of Rs 65,000 per tonne. Recently, the Tariff Commission submitted its fifth report, while notifying that jute bag prices are 10-15 per cent lower than the price at which the government purchases them. 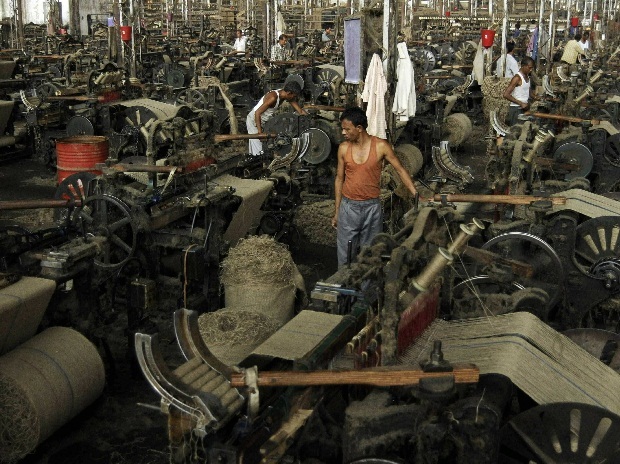 The Indian Jute Mills Association (IJMA) has contested the Tariff Commission’s recommendations on 10 major issues and has demanded correction of facts and observation in the report while calling it “unacceptable”. “Though the Union Government had convened a meeting on August 30 to sort out concerns on pricing, it stands cancelled. It seems the textiles ministry is bent on accepting the Tariff Commission’s recommendations in toto”, said a leading jute mill owner. Among the issues causing a concern is the one related to the workers’ statutory dues like bonus and gratuity, alongside other industrial and commercial issues. “The report has overlooked major labour issues and the method of calculation is questionable. It has made the industry sick and unsustainable by lowering return on investments. It will directly affect the future of 0.25 million labourers and leave a cascading negative effect on the industry”, said an industry source. The government has already lowered the use of jute bags by 10 per cent. By 2022, it is expected to be lowered by 50 per cent. Private sugar mills have reduced use of jute bags by 80-100 per cent. The government had either rejected earlier reports prepared by the Tariff Commission in 2002, 2007, 2009 and 2013; or used their recommendations as an interim measure. The jute industry’s demand for fair price of jute bags has gone unheeded. As a result, the industry has been surviving on ad-hoc jute bag prices for the past 15 years. Between 2013 and 2016, the government set up two pricing committees in April 2015 and September 2016 when changes were made with regard to the bag specifications. Heavier bags of 665 grams were dropped in favour of light bags weighing 580 grams. Each year, the government purchases around 0.7 million tonnes of jute bags through the Food Ministry and Food Corporation of India (FCI) for supply valued at around Rs 8000 crore.